First thing we did was apply for our permit to have chickens in our backyard. We live in Omaha and the permits are issued through the Health Department. Unlike other cities there are not really any requirements other than NO roosters. 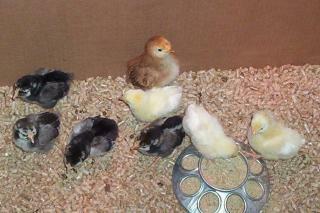 They don't publish a limit so we requested to have 8 hens. We spent a lot of time figuring out what type and style of coop would best suit us and give the most space and comfort to our "Ladies" at the Doo Drop Inn! It gets cold here in Nebraska and I was very worried how we were going to keep The Ladies warm and comfy thru the winter. 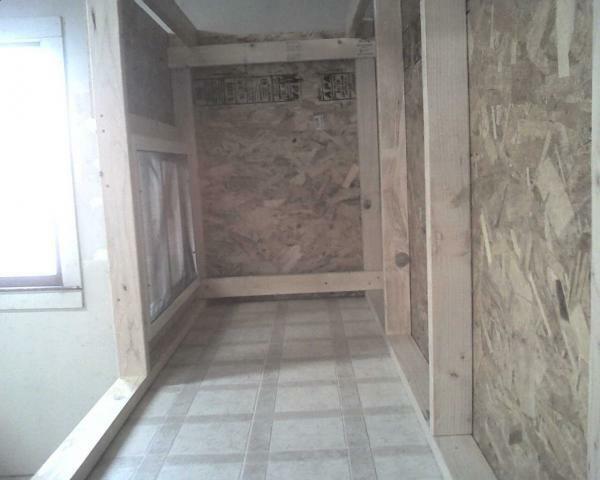 We did not want to spend a thousand dollars on a coop and insulation. I suspect I am a bit over worried about keeping them warm. We found the perfect answer for us! What we came up with allows The Ladies an indoor run (under the coop) for those really nasty winter days when they can't go out to play. Our garage is a 2 car tandem garage. Which simply means it is 1 car wide and 2 cars long! With a little rearanging of freezers we were able to free up 1 corner that would be perfect for The Ladies! Please note hubby and I are neither one carpenters. But hey, every now and then we all have to try something new! Our plan is 3 feet wide X 8 long. The "floor" of the coop is 3 feet off the ground. Basically built on stilts. We bought one 4x4 by 12 feet long and had Home Depot cut it to make 4 - 3 foot legs! We used a 2x4 cut at 3 foot sections for a middle support leg on each side. 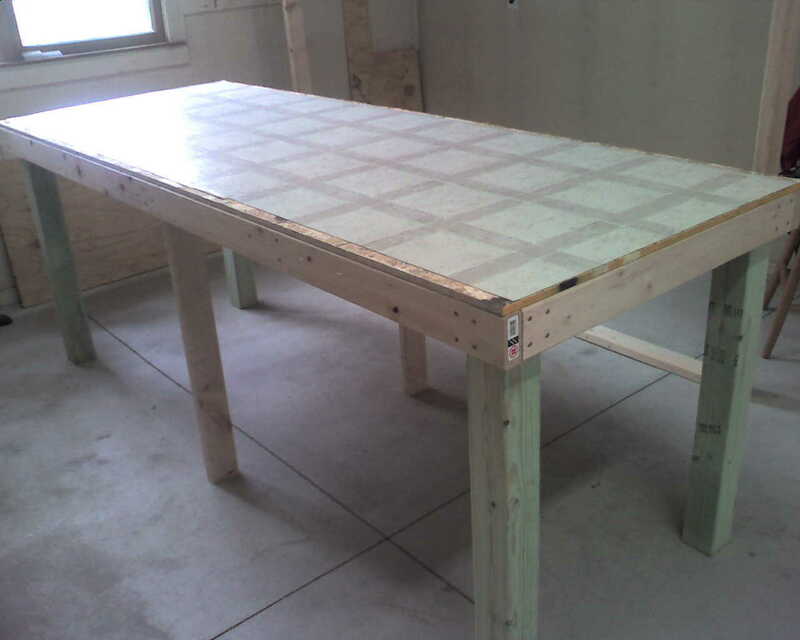 We also put 2x4 floor supports so we know the floor is well supported. We used composite deck screws to put it all together. We discovered the square head screws work so much better than phillips. Next we put the floor on the base. Note: we also had Home depot cut all our wood except our 2x4's. It helped make our project SO much easier! Once the floor was on we applied linolium that I found at Habitat Restore for 5 bucks! I like that linolium is going to make cleaning the coop a bit easier. 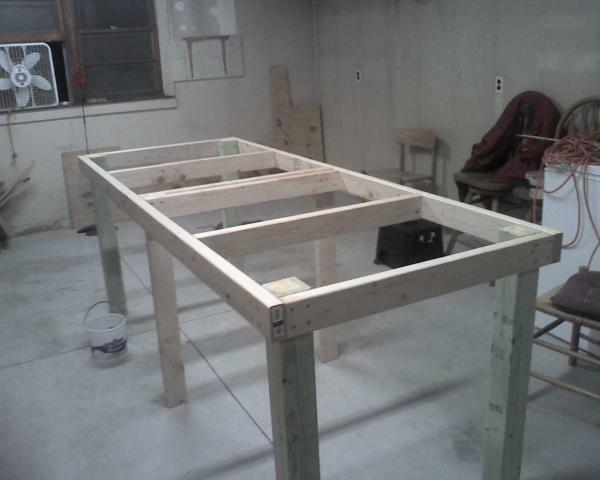 Next we built the top part of the coop. The actual house! We put a window in it for more ventilation and it will allow some light in from the garage window. As you can see we have electricity close by if needed. Looking in from the end. 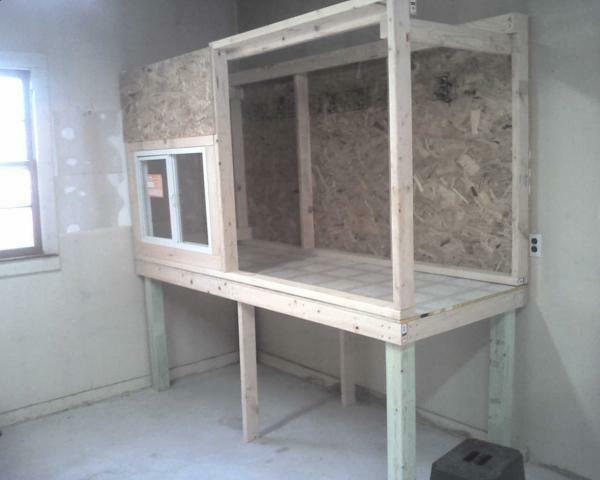 We have yet to put in roosts, next boxes ect. 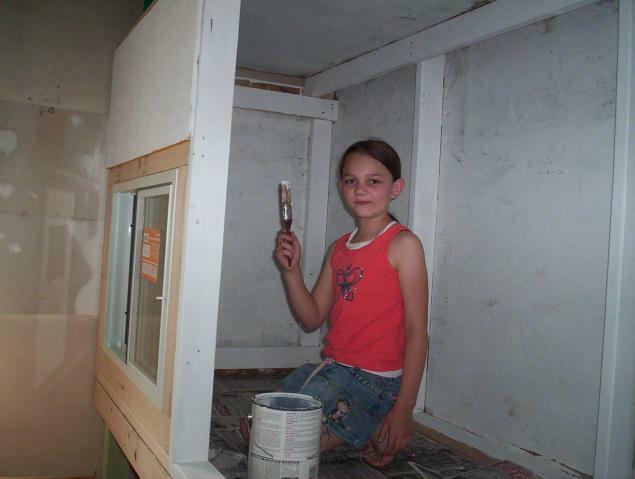 We still have painting to do. We put a top on it and that provides a bit more storage in our garage. Over the weekend we will add the roosts, put the doors on and cut the hole for the escape hatch for them to go to the under the coop run. We are also cutting an escape hatch in the wall of the garage for them to access the outside run. The painting service we hired! We will post more pictures soon!